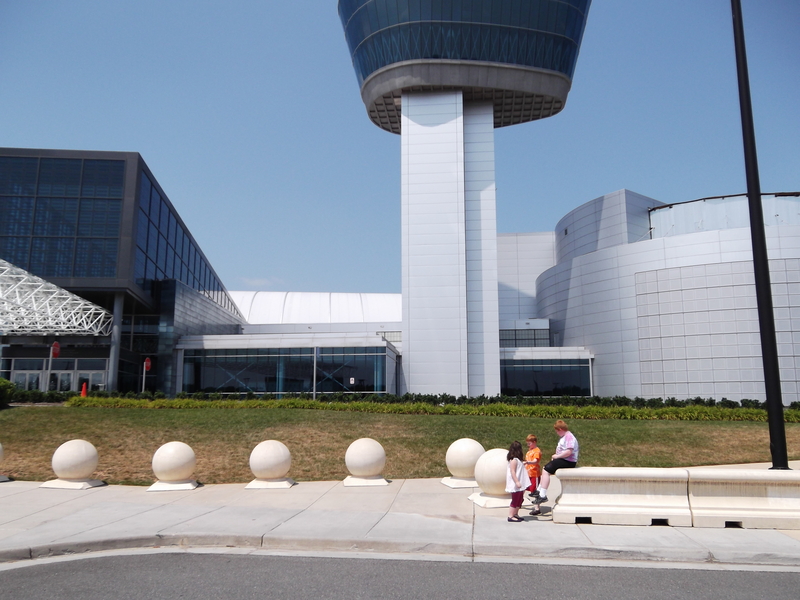 Udvar-Hazy is the annex of the downtown Smithsonian Air & Space Museum, it’s massive, and it’s out by Dulles airport. 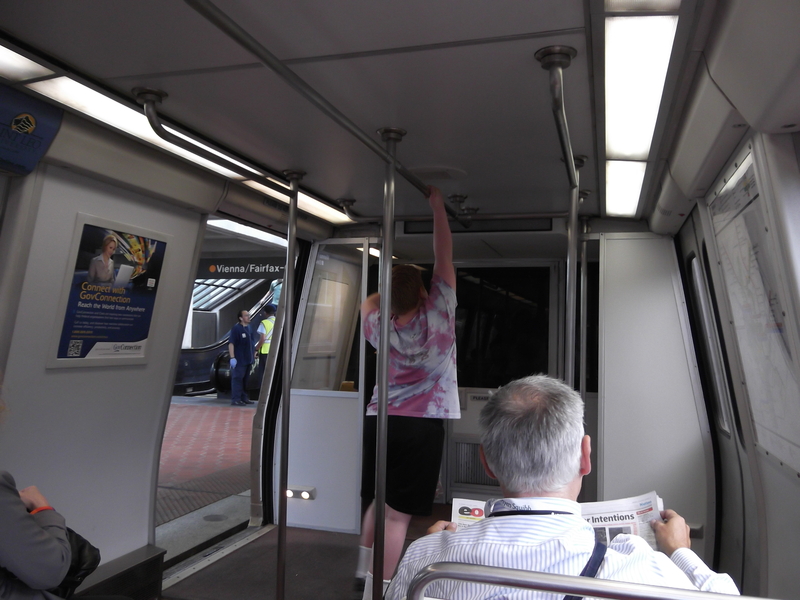 We opted to do this first, since downtown is a madhouse during the late summer. 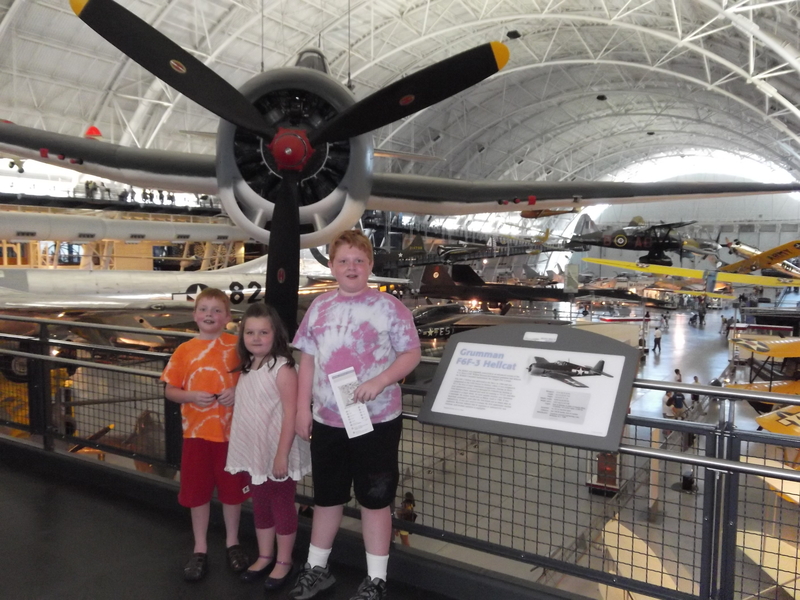 That’s the Enola Gay in the background, and this was before Bean ran away and started swinging from the rafters. That there is an actual space shuttle. 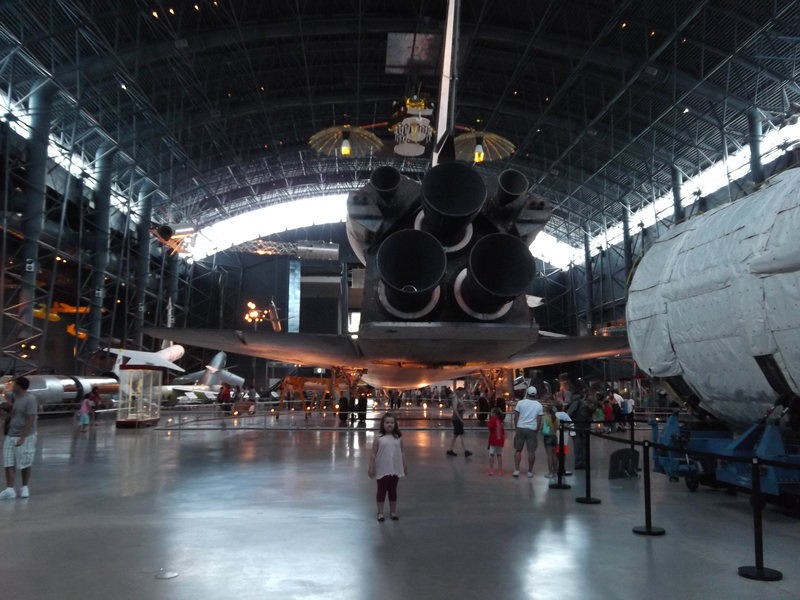 The kids were pretty impressed, though Bean noted it was “dirty and looked like it was made of duct tape!” I don’t think they really get the whole “this is amazing, and the real thing” gist of these museums yet. 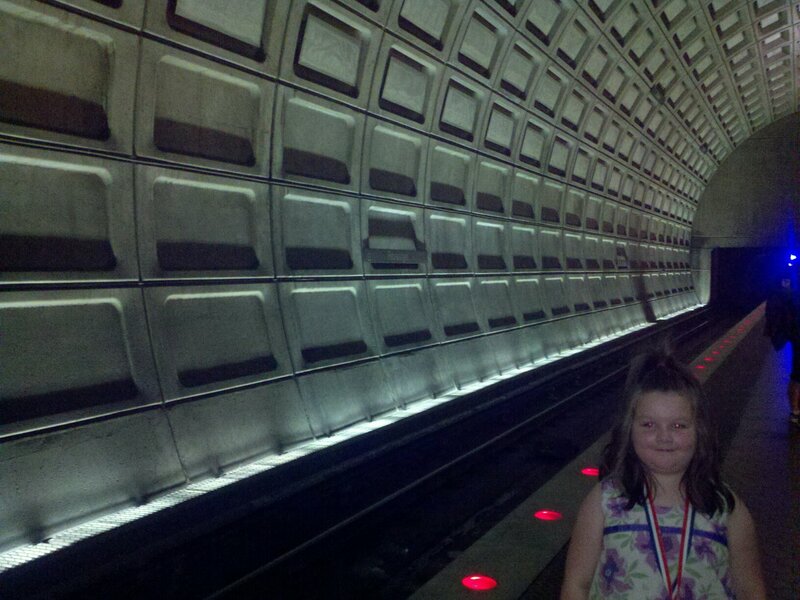 And then we went and experienced our first subway ride. Of course it was a million degrees that day, but generally, it went well. Which means I didn’t lose Bean. 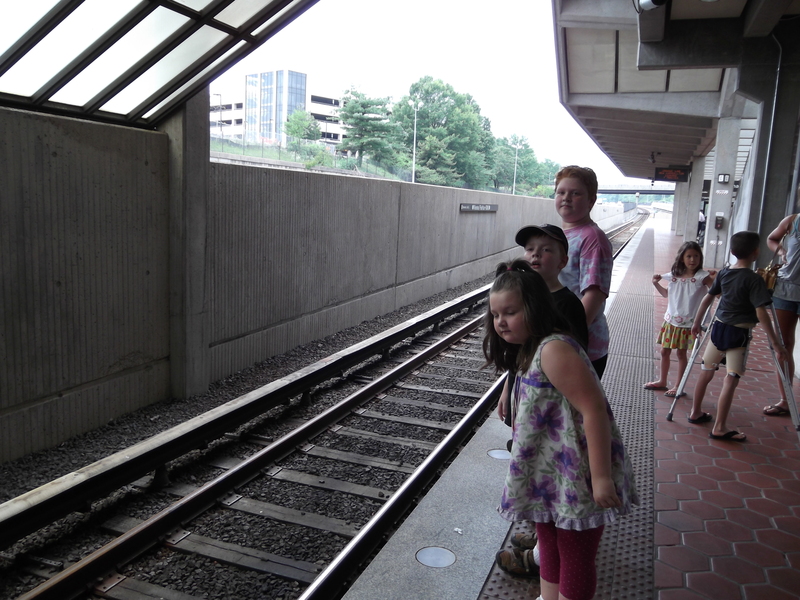 I kept Bean as far away as possible from the rails the entire time. My blood pressure is just now calming down. Abby was a doll. Jeff wanted to stand the whole time. The novelty will wear off, but for now, it’s all exciting. If you looked at the SR-71 Blackbird exhibit, you saw my uncle’s flight suit! It’s a fun museum. 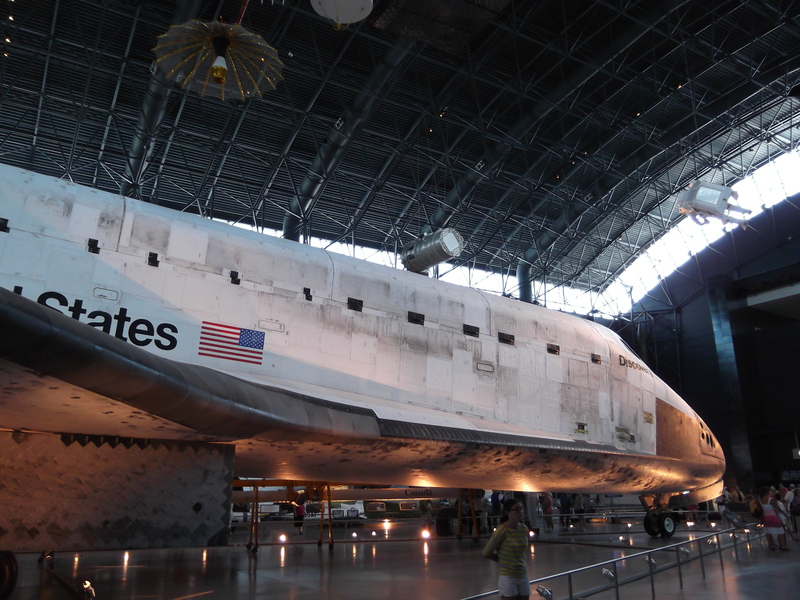 Sorry to be stereotypical, but I have to do this — you know Udvar-Hazy is a church member, right?